I spend a lot of time watching movies, I mean duh, and most of the time the movies are pretty average with a real quality film thrown in here and there but there are times when a movie comes along that is pure perfection. You can’t find anything wrong with it, nor do you want to. It entertains, inspires thoughts and leaves you feeling better than you did before you watched it (not in a kumbaya, save the world kind of way but in a ‘I feel so entertained and that pleases me’ kind of way). 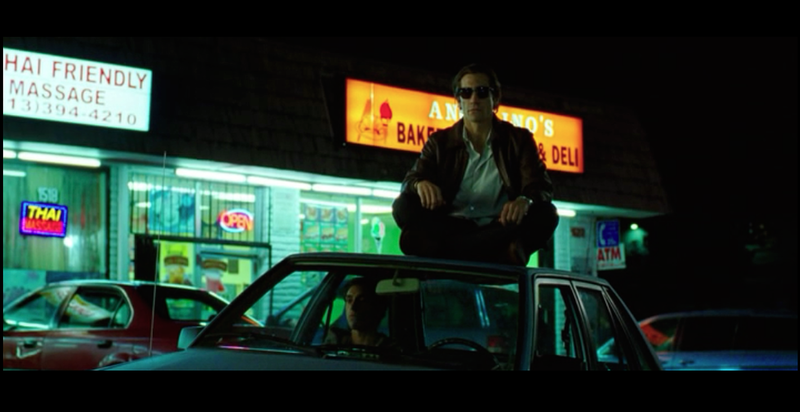 Nightcrawler is one of those films. 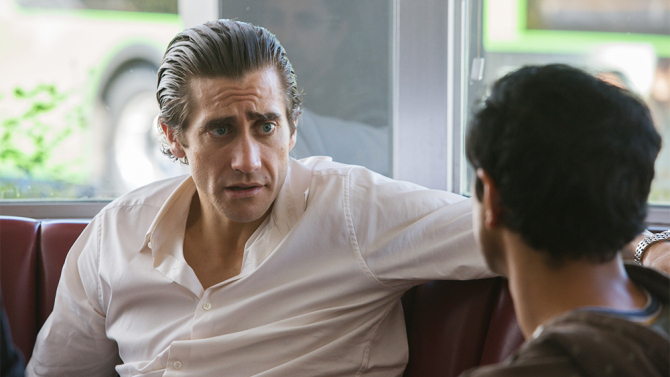 Okay, basic plot: Jake Gyllenhaal is Lou Bloom, a man who is tired of the confides of his life. He makes a living by stealing and reselling goods to junkyards and pawn shops but he knows that his life needs to amount to more than this. He craves success and respect and is willing to do almost anything to obtain these. He, by chance, stumbles into the world of late-night crime journalism and begins to blur the line between observer and participant in the search for the perfect shot. This movie is amazing and probably the best movie I’ve seen in about ten years, maybe even my life. Jake Gyllenhaal is an acting god! I’ve seen him in a few things – both light and dramatic – and he always has this intensity, this raw will power that he brings to each and every role. He fully commits to the character and this allows him to deliver often spell-binding performances. The fact that he wasn’t nominated for an Academy Award for this role just boggles the mind. Look, all the other nominees were more than deserving but Gyllenhaal in this movie is phenomenal. I really can’t oversell his performance, it’s some of the best acting I’ve ever seen. The character of Lou Bloom reminded me a lot of Hannibal Lecter in Silence of the Lambs. He’s a man of extreme focus, unrelenting drive and he isn’t held back by the shackles of normal human emotion. He dedicates himself to a goal and everything else is insignificant, even human life. Gyllenhaal does such an amazing job bringing this character to life; he grabs you from the first scene and your eyes cannot leave the screen because you don’t know what’s going to happen next. This movie is a triumph! Dan Gilroy who wrote the script and directed deserves a never-ending round of applause. This movie has no wasted scenes, it never becomes dull and it keeps you on the edge of your seat. 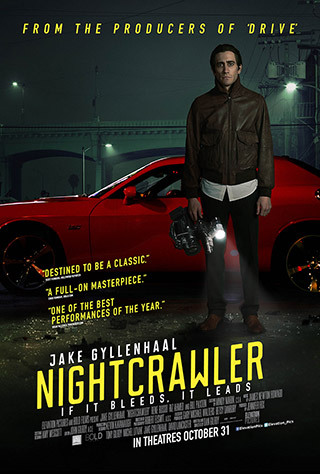 Now usually when a movie is this intense, you’d expect an exorbitant run time but Nightcrawler is just less than two hours and, more importantly, you never feel the length. As someone who’s really becoming fed up with movies having unnecessarily long run-times, this movie was a real breath of fresh air. But, in all truth, if this movie had gone on for another thirty minutes, I wouldn’t have complained. It’s so well paced and written and Jake Gyllenhaal is just so freaking amazing in every scene that you’re begging for more! I also have to give Rene Russo credit for her work in this. I thought she was just another has-been but she puts in a really gritty performance in this movie that pleasantly surprised me. She plays Nina, an ageing News Director who Lou sells his videos to. Nina is desperate to keep her job and needs high ratings to do this. Lou’s videos which are extremely graphic and push the boundaries of what you can show on TV are her ticket to job stability. Both characters realise what it takes to survive in the business – feed the audience’s lust for violence. There’s a lot of depth in the plot that I can’t really discuss without spoiling it but one of my favourite plot points in this film was: human being’s insatiable lust for violence. That’s what makes Lou so successful, he knows how to feed this lust. I still need to catch up with this one. Haven’t heard a negative review of it yet!